Summer is the high season for thunderstorms and their resulting lightning and hail storms. TU Graz researchers Stephan Pack and Helmut Paulitsch get to the bottom of this summer phenomenon in their research work. No sooner has the temperature gone up, than the probability of thunderstorms increases. Lightning strikes and hail storms can have very extreme effects. From tourism to power suppliers, from business to aviation or farming – everyone is massively affected by lightning and hail. Every year brings damages caused by these weather phenomena to the tune of millions of euros. 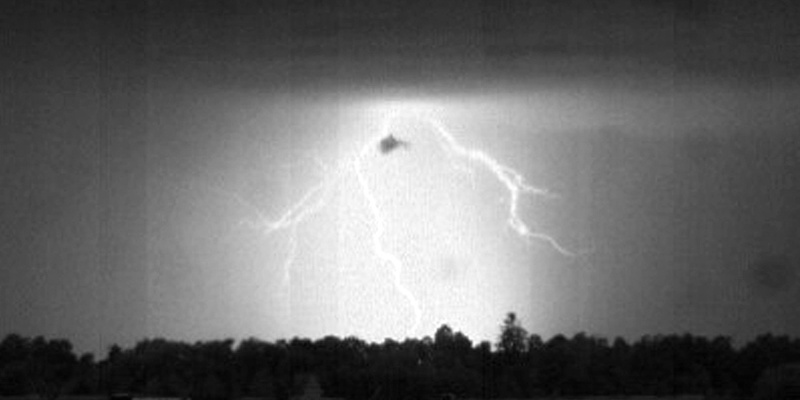 This year, the thunderstorm season began very early at the end of April and triggered off an intensive phase in the research of Stephan Pack at the Institute of High-Voltage Engineering and System Management, who is exploring lightning strikes, and of Helmut Paulitsch at the Institute of Microwave and Photonic Engineering, whose field of interest is hail suppression. Research into lightning has been carried out at TU Graz’s Institute of High-Voltage Engineering and System Management for more than 20 years. For Institute deputy head Stephan Pack and doctoral student Lukas Schwalt, the time between May and September is especially exciting for it is exactly during this thunderstorm-intensive period that they obtain their data for lightning research. Their work focuses on recording the lightning activity in the Austrian Alpine area, which is the most lightning-active region in Europe. Lightning discharges can be differentiated on the basis of type of discharge and intensity of current, and whether a rarer single discharge occurs or a lightning flash with several successive discharges. 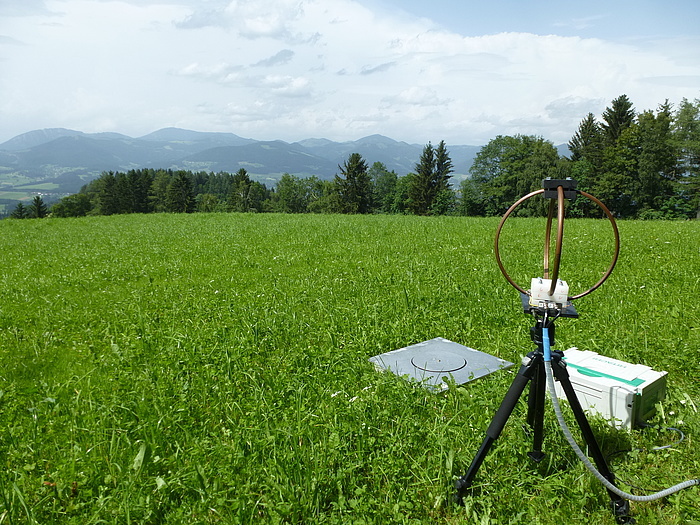 In the thunderstorm season, Schwalt is on call daily, going ‘lightning hunting’ between Lienz, Salzburg, St.Pölten and Graz, along with his mobile lightning-measuring system which was specially developed and optimised at the Institute. To do this, he’s in close contact with the Central Institution for Meteorology and Geodynamics (ZAMG) in order to be at the right place at the right time for the most promising thunderstorms in the southern Alpine region and to carry out measurements. In the framework of the LiOn project (Lightning Observation in the Alps) which was launched in 2015, 300 series of measurements of cloud-to-earth discharges were recorded at 19 selected locations in the mountains. What is crucial to the choice of exposed locations for the measurements is that there is a broad field of view (15 to 30 km) for the camera system and that no electro-magnetic disturbances occur. Furthermore, locations with a good view of the structures exposed to lightning were chosen, such as mountain peaks, towers, transmitters and overhead high-voltage lines. In the case of mobile measurements, these predefined locations are travelled to, since the basic prerequisites for successful measurements of the electrical, meteorological and physical effects of lightning discharges are satisfied there. The mobile flash measurement system is being set up for use on the Arzberg: Plate antenna for measuring the electric field and frame antenna for measuring the magnetic field of atmospheric discharges © IHS TU Graz 2018. In Europe there is a comprehensive lighting location system. In Austria alone there are eight stationary lightning location sensors with an average distance between each other of 150 to 200 km, and they are operated by the research partner ALDIS (Austrian Lightning Detection and Information System, ÖVE Service GmbH). The mobile lightning location system used by the two TU Graz lightning researchers covers a radius of 10 to 40 km. The result is a local reference system (VFRS, video-field recording system) which provides scientific information for checking the reliability of Austria-wide lightning localisation sensors. The mobile lightning measuring system consists of an antenna dish for measuring the electrical fields and a high-speed camera which can record 2000 images per second. The system is currently supplemented by a loop antenna for measuring the magnetic field of atmospheric discharges. The data generated in the summer months provide information about the characteristics of regional lightning discharges and are analysed in detail at the end of the thunderstorm season and integrated into models for the purpose of improved prediction of lightning discharges. It makes forecasts more accurate, allows swifter preventative measures to be taken, and increases safety for people and the environment. The results up to now have created new findings and serve as a new data pool for the evaluation of lightning discharges; they are also attracting great international interest. Hail is produced when drops of water move into extremely cold areas inside a cloud due to updrafts. This forms hailstones from crystalised cores. If there aren’t many of these cores in the cloud, the hailstones can grow very fast and fall to the ground when no longer carried by the updraft. Helmut Paulitsch from TU Graz’s Institute of Microwave and Photonic Engineering has described this weather phenomenon in his research, and in particular the weather radar technology, which makes it possible to carry out a large-scale analysis of precipitation events. Paulitsch and his team have developed the WIIS software package, which visualises weather radar data, as well as the HAILSYS program (hail analysis software program) which analyses weather data and facilitates the assessment of hail probability in thunderstorm cells. Thanks to these two programs, it is possible to guide hail suppression pilots through critical storm cells so that the latter can be seeded with a silver iodide acetone solution. This dissolution acts as a crystallization nucleus and leads to an increased formation of hailstones, which means that they remain smaller and cause less damage on impact. Meteorological data, 2D and 3D weather radar data and aircraft positions and agricultural damage information flow into the HAILSYS analysis program. The formation of hailstones in contrast to raindrops is very clear in the 3D weather radar scans which are captured in five locations in Austria. In combination with the rapid 2D environmental scans of the hail suppression radar which are updated every 40 seconds, WIIS and HAILSYS calculate the direction of movement and the size of the thunderstorm cells to inform hail suppression pilots. According to Paulitsch, there has been a change both in frequency and in the seasonal course of thunderstorms in the last few years. Thunderstorms occur not only more often, but also earlier in the year. Previously, the peak season for thunderstorms was from June to August, but this year the first thunderstorms began in April. May, in particular, was a very intensive month for hail. Apart from a few days, hail suppression aircraft were flying on daily missions. To extend the analysis of hail events, the HeDi platform – hail event data interface – was set up in the spring. 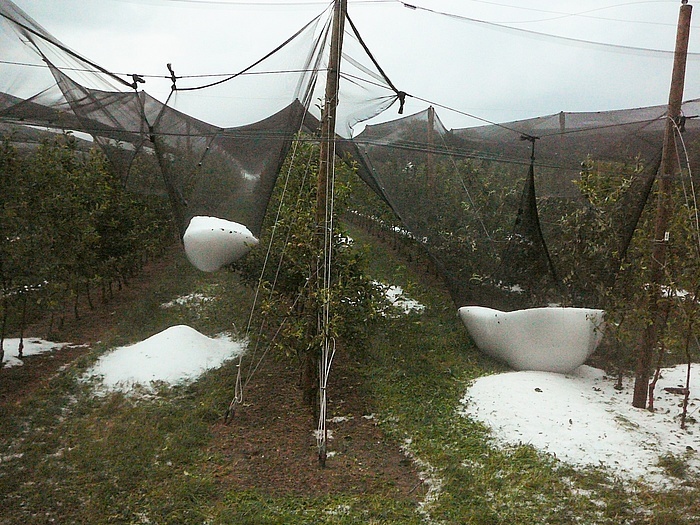 Additional data on hail events, such as location, time, size of hailstones and damage caused, is to be gathered with the help of the population of Styria. The general public can report hailstorms to TU Graz including information and photos using a form on the website www.hedi.tugraz.at, or pass on hail data very simply by means of the eponymous app. This data is adopted by the HAILSYS database after a plausibility test and included in future thunderstorm analyses. It is planned to implement HeDi in other Austrian regions, for instance in Burgenland or in the Wachau, to obtain a broader basis of data and to include it in the instruments used in hail suppression. This project is anchored in the FoE „Information, Communication & Computing" and "Sustainable Systems" one of TU Graz' five strategic areas of research. Visit Planet research for more research related news. Planet research.